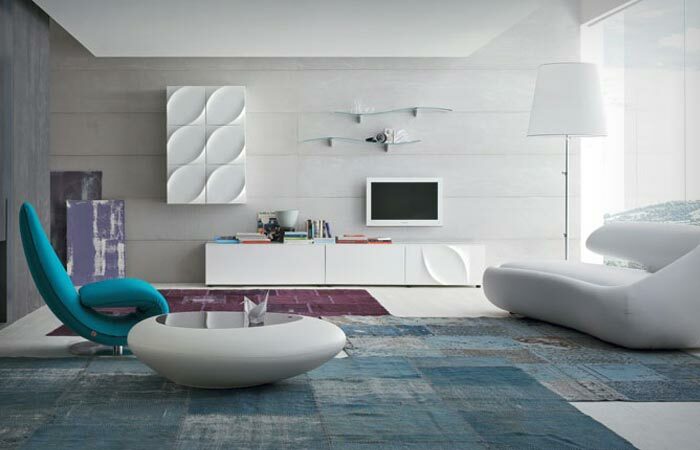 If you are a fan of contemporary, minimalist interior decoration, and have been spending ages looking for the perfect coffee table that would fit like a glove with the rest of your furniture, search no more – Tonin Casa has designed just the thing for you – KOS coffee table. 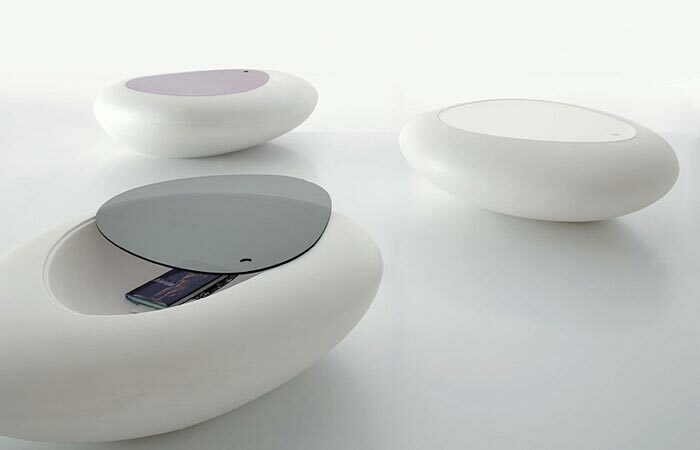 KOS coffee table is inspired by a river rock. 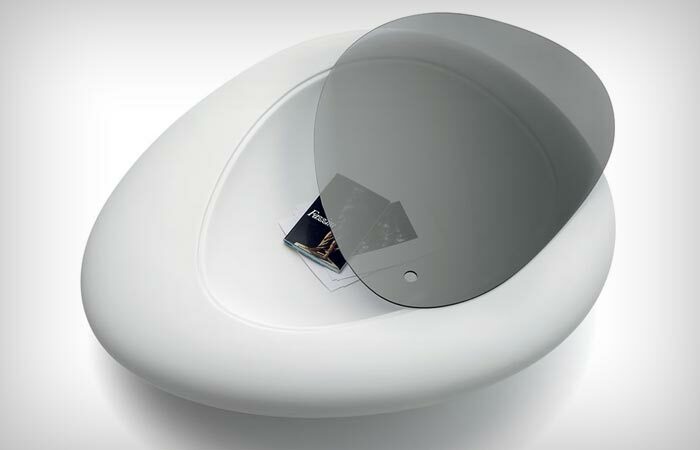 It has a very fluid, organic shape with a sleek exterior made with the help of polyethylene rotational moulding technology. The table has a removable Perspex (Plexiglas) top which hides a storage unit for various knick-knacks (magazines, books, candles, accessories). Also, KOS has an internal light which transforms it from a daytime into nighttime table. The base of the table is available in three finishes – white, beige and anthracite grey – while the top comes in white opaline, transparent, transparent grey fume, black, ruby red, and transparent fuchsia. The table’s dimensions are 7.40″ W X 44″ D X 13″ H and it comes with one-year limited warranty. KOS coffee table is suitable both for indoor and outdoor usage and is a wonderfully modern mix of originality, simplicity, functionality and elegance. This table is a great addition to your living room, swimming pool and garden alike.